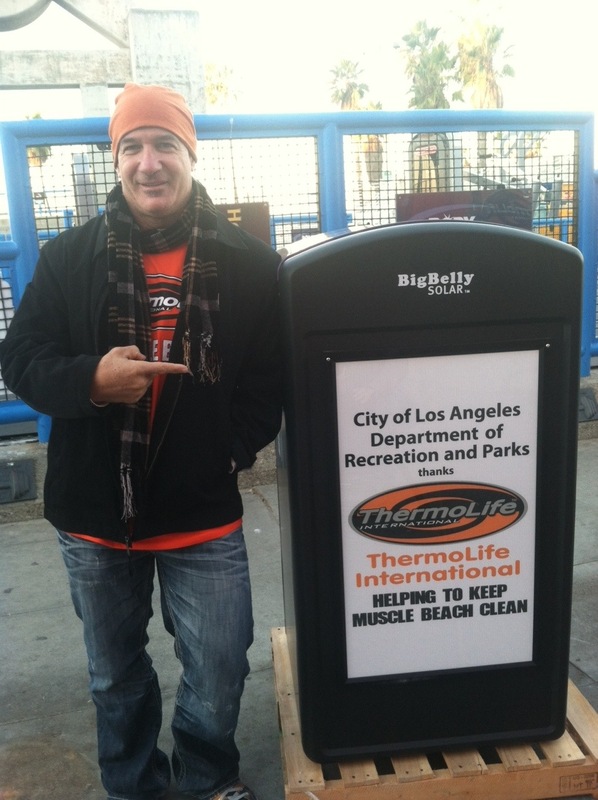 Ron from Thermolife bucked the trend and actually put his money where his mouth is when it comes to cleaning the beach and making improvements to our beautiful park – adding several new big belly trash cans around Muscle Beach. Thanks Ron! Now the thousands of tourists and others that are led by the gym area every week on tours and on their way through the park won’t be treated to transients eating out if trash cans…. by Muscle Beach at least.